Callinex Files Technical Report for Updated Resource Estimate at the Nash Creek Project - Callinex Mines Inc.
Vancouver, British Columbia – June 7, 2018 – Callinex Mines Inc. (the “Company” or “Callinex”) (TSX-V: CNX; OTCQX: CLLXF) is pleased to announce that it has filed a NI 43-101 Technical Report (“Technical Report”) for its 100% owned Nash Creek Project located within the Bathurst Mining District of New Brunswick. The updated resource estimate outlined a major increase in contained zinc, lead and silver mineralization within Indicated and Inferred categories (See News Release dated April 16, 2018). The Technical Report can be viewed by clicking here or by visiting the Company’s SEDAR profile at www.sedar.com. 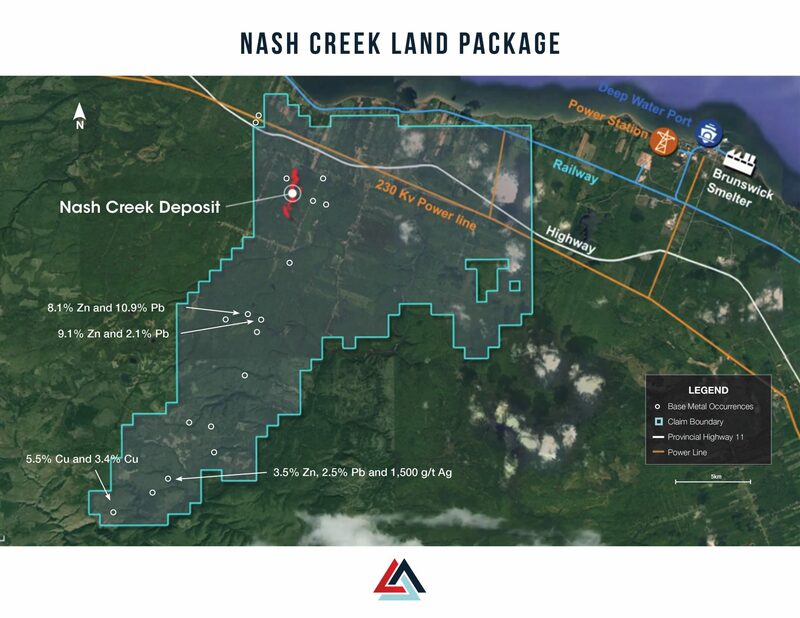 A 2018 maiden Preliminary Economic Assessment (“PEA”) on the Company’s Nash Creek and Superjack projects outlined potential for an open pit mining operation that generates a strong economic return with a pre-tax internal rate of return (“IRR”) of a 34.1% (25.2% post-tax) and a pre-tax Net Present Value (“NPV”) at an 8% discount rate of C$230 million (C$128 million post-tax) over a ten year mine life (See News Release dated May 14, 2018). The Company believes there is a clear opportunity to significantly enhance the project’s economics with additional exploration. A technical report for the PEA will be issued within 30 days. A two-minute video presentation of the Nash Creek Project can be accessed by clicking here. The current mineral resource at Nash Creek now hosts Indicated mineral resource totaling 13.6 Mt averaging 3.2% Zn Eq. (2.7% Zn, 0.6% Pb and 17.9 g/t Ag) containing 963 million pounds of zinc equivalent mineralization and an Inferred mineral resource totaling 5.9 Mt averaging 3.1% Zn Eq. (2.7% Zn, 0.5% Pb and 14.0 g/t Ag) containing 407 million pounds of zinc equivalent mineralization. The Company’s project portfolio now contains indicated resources of 13.6 Mt averaging 3.2% Zn Eq. for a total of 963 million pounds and total inferred resources of 23.2 Mt averaging 5.2% Zn Eq. 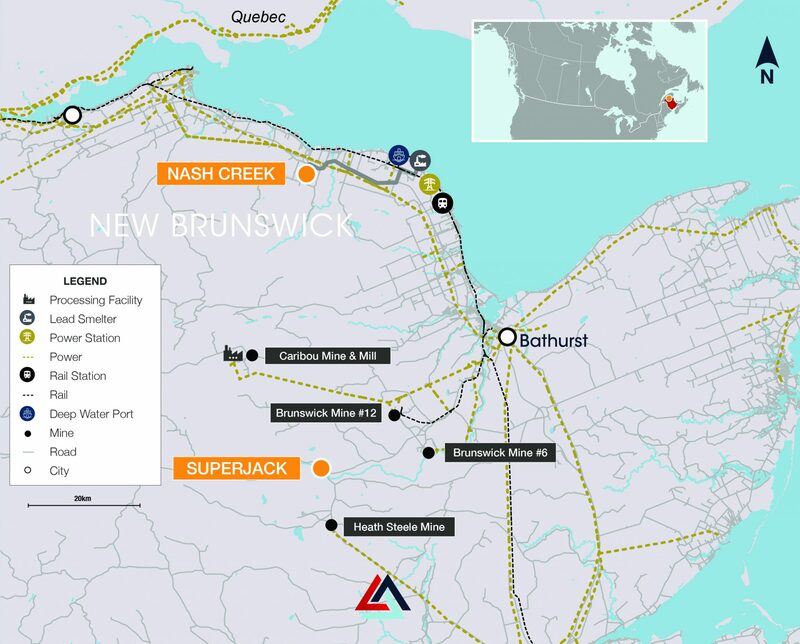 for a total of 2.7 billion pounds from the Nash Creek, Superjack and Point Leamington projects (See News Release dated April 16, 2018).